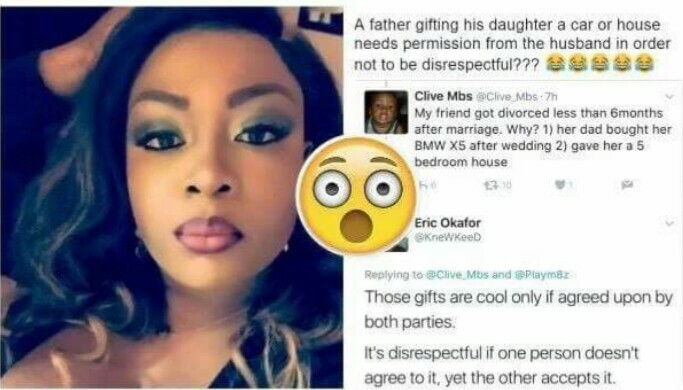 A man divorces his wife six months after wedding, reason because she was gifted a car and a 5 bedroom bungalow by her dearest father. The question here is would you divorce your wife if such scenario happens to you. Moreover, is divorcing her the only solution to the situation?